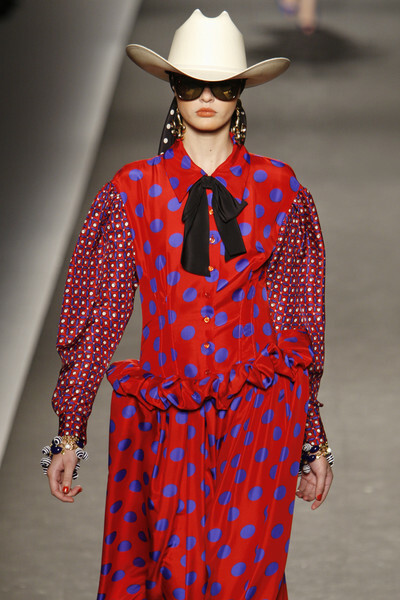 At Moschino every look that came down the runway was screaming for attention. Hats, turban scarves, golden jewellery, large sunglasses, bows worn with blouses, belts, shoes tied around the ankles and big bracelets. Not to mention the clothes itself, with their had eye-catching prints and golden embellishments. All items got Rosella Jardini’s full attention. The show started off in the same style as last year. 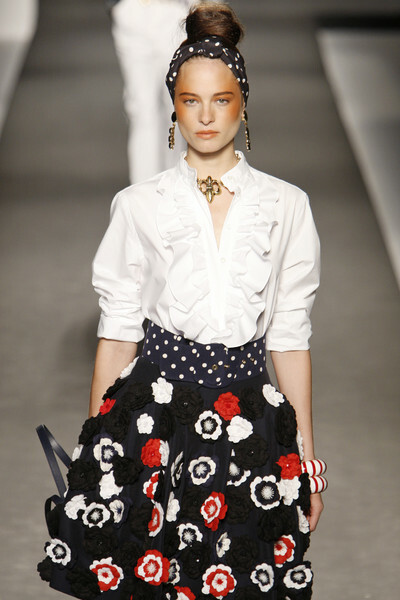 Models wore hats combined with scarves and white blouses with black bows. 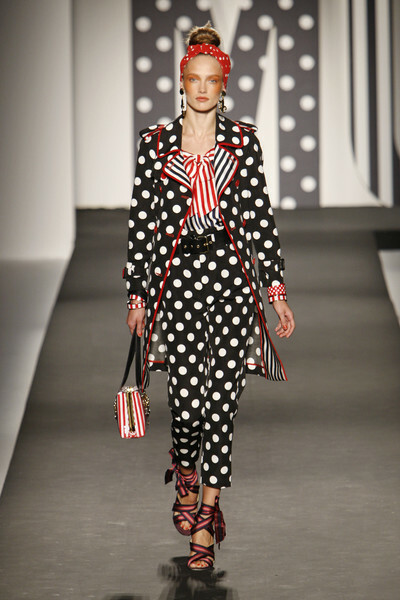 Yet soon the new prints came on; big red & white stripes, black & white Vichy checks, flowers and loads of large polka dots. 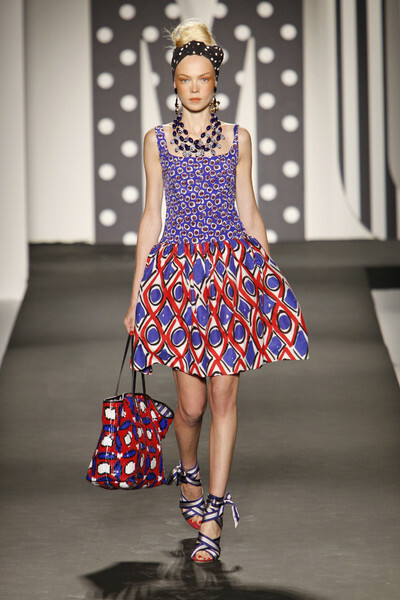 Some looks felt a bit navy-inspired, due to their colors and prints. A few double breasted jackets and nautical rings were in that style as well. As in last collection their was a lot of gold. It was used to decorate some of the skirts and jackets and the jewellery (necklaces with tassel tips, chain belts, Lily of Florence earrings and big bracelets) was made from it. Yet the golden rings we saw on some jackets last season had made way for pearls this time. Big faux pearls, that is. You can imagine it was hard for us to focus on this over the top collection. There were definitely some great elements, yet it was all a little too much. So, if you’re planning on wearing some of the looks, try to keep it simple. Wearing one or two eye-catching items is just fine.